Professor Gilles-Eric Séralini is an international researcher working on the effects of pollutants on health, especially GMOs and pesticides. From 1991, he has been a full professor (now exceptional class) of molecular biology and toxicology at the University of Caen (chair). A member of two governmental commissions in France on GMO evaluation (CGB and Comité de Biovigilance, 1998-2007). Over the past several years he has focused his research on the adverse health effects of glyphosate-containing herbicides (which were just banned in his home country of France). Professor Séralini led the team that demonstrated tumor growth in animals exposed to these herbicides. A researcher and teacher, he has functioned as the team leader and writer (10 books and more than 150 scientific papers or publications in international meetings). He has also received several awards including the Whistleblower Award 2015 (Federation of German Scientists, Germany); the Theo Colborn Award 2016 (USA) for his research on health and environment; and the “Healthy Community Hero Award” 2018 in California. John Peterson “Pete” Myers is founder and Chief Scientist of Environmental Health Sciences, a not-for-profit organization that promotes public understanding of advances in scientific research on links between the environment and health (www.EnvironmentalHealthNews.org). Dr. Myers holds a doctorate in the biological sciences from the University of California, Berkeley. For a dozen years beginning in 1990, Dr. Myers served as Director of the W. Alton Jones Foundation. Along with co-authors Dr. Theo Colborn and Dianne Dumanoski, Myers wrote “Our Stolen Future,” a best-seller that explores the scientific basis of concern for how contamination threatens fetal development. He is on the boards of the Food Packaging Forum, the Science Communication Network and the Jenifer Altman Foundation. He is an Adjunct Professor of Chemistry at Carnegie Mellon University. From 2012 to 2014 he served as Board Chair of the H. John Heinz Center for Science, Economics and the Environment. Myers has received multiple major national and international awards, including: the Laureate Award for Outstanding Public Service from The Endocrine Society (2016), the world’s largest association of medical and research professionals specializing in endocrinology, the first “Champion of Environmental Health Research” award from the U.S. National Institutes of Health (2016) and the Distinguished Service Award from the Sierra Club (2017). In 2017 he also received the International Cooperation Award from the U.S. Forest Service for an effort he founded in 1985 that now protects 39 million acres of migratory shorebird habitat in 100 critical migration sites from Tierra del Fuego to the US and Canadian Arctic, the Western Hemisphere Shorebird Reserve Network (WHSRN.org). Dr. Mansoor is the President and COO of The DNA Company, a leading and innovative provider of comprehensive Functional Genomics testing and consulting and an industry first: Individually customized supplements. He is widely regarded as a pioneer in medical genomics and has been the recipient of multiple academic and industry awards. He is the holder of several patents in the general fields of molecular diagnostics and genomics research and is one of the most sought-after national and international conference speakers in the genre of personalized medicine. Prior to his role at The DNA Company, Dr. Mansoor was Founder and President of ManaGene (2010-2018), CEO of Combimatrix (Nasdaq traded leader in diagnostic genomic microarrays) (2006-2010), Director of Genomics at Quest Diagnostics (The world’s largest reference laboratory with a market capitalization of over $10 billion US) (2003-2006), and Director of Research and Development at Spectral Genomics (one of the industry’s first commercial genomic microarray developers spun out of Baylor College of Medicine under Dr. Mansoor’s scientific leadership). Dr. Mansoor maintains an active clinical practice as a genomics consultant to some of the leading executive health clinics in Canada and abroad. Filomena Trindade, MD, MPH is faculty at the Fellowship/Master’s program in Metabolic Medicine at Metabolic Medical Institute (MMI) and the Institute for Functional Medicine (IFM). After obtaining her BA degree in Biology she went on to finish a master’s in Public Health in the area of environmental health and epidemiology before starting medical school. She graduated first in her class in family practice from the University of California Davis School of Medicine and did her residency training in family practice at the U.C. San Francisco/Santa Rosa Program. She has been in clinical practice for over 22 years. Before starting her own private practice in 2004 in functional medicine she was the medical director of a non-profit organization that catered to the underserved. Her work has been published in Townsend Letter, Guide to Anti-Aging & Regenerative Medicine, Saúde Actual, and the Border Health Journal. She is currently very active in developing teaching programs in Functional Medicine, particularly the Saudade Certification Program. Joseph Pizzorno, ND is a leader in science-based natural medicine, and founding president of Bastyr University and Editor-in-Chief of Medline-indexed Integrative Medicine Clinician’s Journal. He sits on multiple Board of Directors: Institute of Functional Medicine (IFM), American Herbal Pharmacopeia, and the Science Boards of the Hecht Foundation, Gateway for Cancer Research and Bioclinic Naturals. He was appointed by Presidents Clinton and Bush to two commissions advising the government on the integration of natural medicine into the healthcare system and author of 5 textbooks on Natural Medicine including Clinical Environmental Medicine (Elsevier 2018). He is a licensed ND in Washington and is currently involved in research correlating toxicant exposure to risk for chronic degenerative disease. Felice L. Gersh, MD has a BA from Princeton University, and received her MD degree from the University of Southern California School of Medicine. She is currently Board Certified in OB/GYN and Integrative Medicine a consultative faculty for the Fellowship in Integrative Medicine at the University of Arizona. She completed a 2 year Fellowship in Integrative Medicine at the University of Arizona School of Medicine, and training in environmental medicine with Dr. Walter Crinnion. She is the Medical Director of the Integrative Medical Group of Irvine, and continues to teach as a national and international speaker as well as authoring several book chapters and is a prolific blogger. Her first book on women's health is due out in the fall of 2018. Walter Crinnion, ND received his Naturopathic Doctorate as a part of the first graduating class of Bastyr University in 1982. He maintained a private practice while simultaneously holding associate professorships at Bastyr University, SCNM, NCNM and University of Bridgeport where he taught geriatrics and environmental medicine. He was a professor and department chair for Environmental Medicine at SCNM from 2003 to 2013. He has served as an editor of the environmental medicine section of Alternative Medicine Review and has been a reviewer for several scientific and medical journals including The New England Journal of Medicine. Dr. Crinnion is a staunch advocate of environmental medicine and is the author of the book Clean, Green & Lean: Get rid of the toxins that make you fat. He appeared on The View with Barbara Walters three times to discuss these issues. He has recently authored, with Joe Pizzorno, ND, the textbook of Clinical Environmental Medicine published by Elsevier. Frederick vom Saal is a Curators’ Distinguished Professor of Biology at the University of Missouri-Columbia. He received a PhD from Rutgers and was a postdoctoral fellow at the Institute of Reproductive Biology at the University of Texas-Austin. He served on the National Academy of Sciences Committee on Hormonally Active Agents in the Environment, is an elected fellow of the American Association for the Advancement of Science, and is a recipient of the Heinz Foundation Award in Environmental Science, the Millennium Award from the Indian Institute for Sustainable Future, the Upstream Award from the Jenifer Altman Foundation, the Environmental Health Hero Award from the CleanMed Association, and the University of Missouri Alumni Association Faculty Award. He has served on numerous editorial boards of scientific journals and federal research review panels. His research has focused on the effects of fetal exposure to endogenous hormones and both manmade and naturally occurring estrogenic chemicals present in many household products and food. He has testified about the hazards posed by environmental endocrine disrupting chemicals in numerous states, the US House of Representatives and Senate, and the EU Parliament. He has mentored over 20 graduate students and published over 200 articles and reviews on his research, which is funded by grants from NIH and a number of foundations. 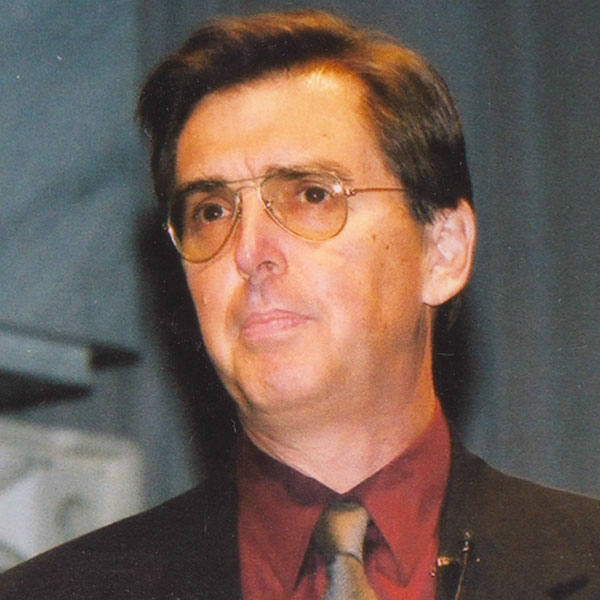 R. Thomas Zoeller, Ph.D. is Professor of Biology at the University of Massachusetts, Amherst. His current research focuses on the role of thyroid hormone in brain development with an emphasis on the fetal brain. These studies have revealed that the fetal (rodent) brain is very sensitive to changes in thyroid hormone action, and that this action is highly complex. Dr. Zoeller’s lab also works on the mechanisms by which environmental endocrine disruptors can interfere with thyroid hormone action in the developing brain. This work has demonstrated that some chemicals – including PCBs, PBDEs, and BPA, produce effects on thyroid hormone action that are not fully consistent with a traditional view of thyroid “homeostasis”. The mechanism(s) by which these chemicals can produce a “mosaic” effect on hormone action is important to address. Dr. Zoeller’s laboratory has published over 160 peer reviewed papers on these topics. He was a member of the U.S. EPA's EDSTAC working group on Screening and Testing in the 1990’s as well as several other EPA and NIH review panels. He is currently a member of the Endocrine Society’s Advisory Group on Endocrine Disruptors. Corina Dunlap, MS, ND is a board certified naturopathic doctor and medical researcher specializing in women’s health at all stages of life. She earned her Doctorate in Naturopathic Medicine and Master of Science in Integrative Medicine Research from the National University of Natural Medicine (NUNM) in Portland, OR. Before NUNM, she received her BA from Smith College with an emphasis in Medical Anthropology and International Relations. She completed a 2-year accredited residency with rotations in gynecology, general endocrinology, and reproductive endocrinology and a 2-year postdoctoral research fellowship, followed by a research and adjunctive faculty placement at the School of Research & Graduate Studies at Helfgott Research Institute and NUNM. 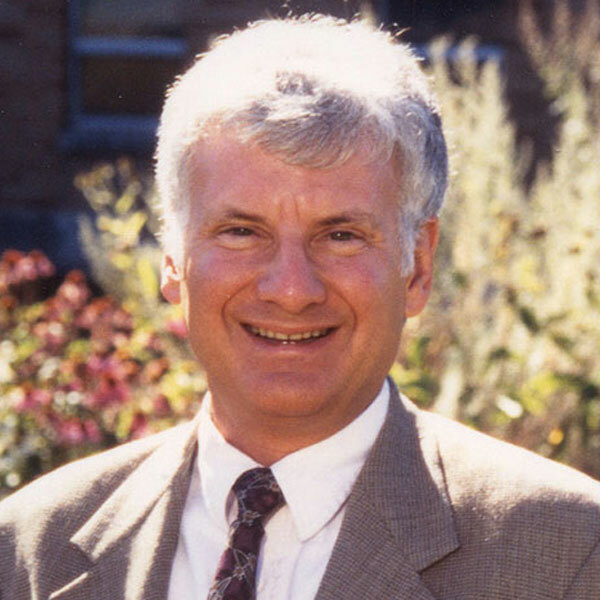 Dr. Dunlap’s work is frequently published in medical journals such as Integrative Medicine: A Clinician’s Journal, Explore: The Journal of Science and Healing, Journal of Ayurveda and Integrative Medicine, Mental Health & Prevention, Naturopathic Doctor News and Review, and Townsend Letter. 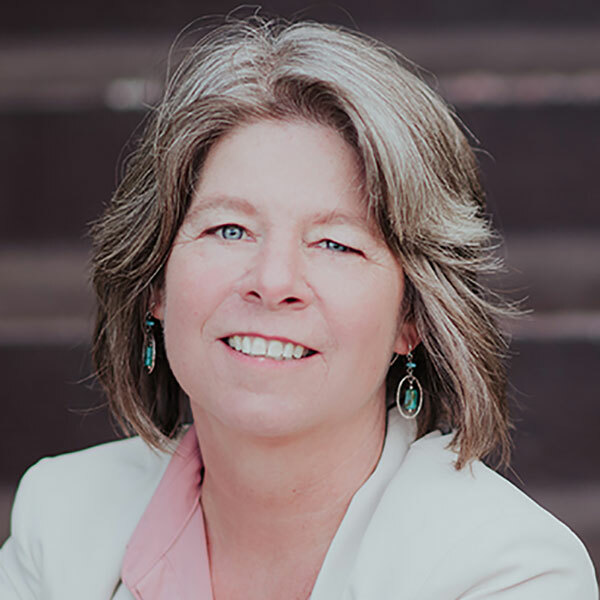 Lyn Patrick, ND graduated from Bastyr University in 1984 with a doctorate in naturopathic medicine and has been in private practice as a state licensed naturopathic physician in Arizona and Colorado for the last 30 years. She completed postgraduate training in environmental medicine with Dr. Walter Crinnion and has been teaching and continuing to train in the field since 2002. She is a published author of numerous articles in peer-reviewed medical journals and has been a Contributing Editor for the Medline-indexed Alternative Medicine Review. She recently authored a chapter in the newly released Clinical Environmental Medicine (Elsevier 2018). She speaks internationally on environmental medicine, liver disease, endocrine disruption, metal toxicology and other topics. She is faculty for the Fellowship/Master’s program in Metabolic Medicine with the Metabolic Medical Institute (MMI) and a current member of the Board of Directors of the American College for the Advancement of Medicine(ACAM) where she serves as a planner and faculty member for ACAM’s continuing medical education conferences, lecturing in the area of chelation and metal toxicology. She is also a founding partner of Progressive Medical Education and the Environmental Health Symposium and is currently President of the Naturopathic Academy of Environmental Medicine. Shruthi Mahalingaiah, MD is an Assistant Professor of Obstetrics and Gynecology with a clinical subspecialty in Reproductive Endocrinology and Infertility at Boston University School of Medicine/Boston Medical Center. She is currently funded on the Reproductive Scientist Training Program, RSDP K12, and was previously a Building Interdisciplinary Research Careers in Women's Health Scholar to study environmental exposures and risk of gynecologic disease incidence. Her current research focuses on environmental exposure and polycystic ovary syndrome (PCOS) incidence, severity, metabolic sequelae, and risk modification. As of 2018, she was noted for her study in the journal Human Reproduction that found air pollution is tied to irregular menstrual cycles in teens. This study is the first to show that exposure to air pollution among teen girls (ages 14-18) is associated with slightly increased chances of menstrual irregularity and longer time to achieve regularity in the teen years. Bonnie Nedrow, ND specializes in environmental medicine in the fields of reproductive and metabolic health. She has a strong background in naturopathic family practice including home birth, pediatric care and preconception optimization. Dr. Nedrow has written three books for the public on detoxification and cleansing diets and has presented to her peers on the effects of toxicants on reproductive health numerous times over the past 9 years. 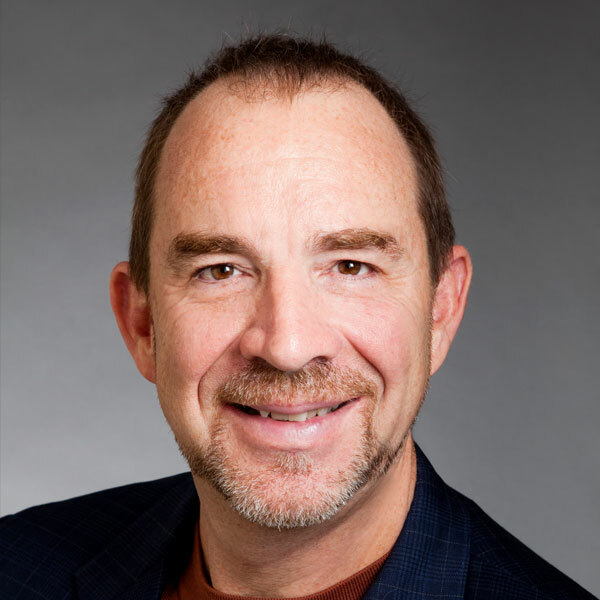 Dr. Nedrow is the acting Vice President for the Naturopathic Academy of Environmental Medicine and has a private telemedicine and traveling practice in Oregon and Northern California. For more about Dr. Nedrow visit Keto-Cleanse.com. Ami Zota is an Assistant Professor in the Department of Environmental & Occupational Health at the George Washington University Milken School of Public Health. Dr. Zota’s work seeks to secure environmental justice and improve health equity through advancements in science, policy, and clinical practice. Her research identifies novel pathways linking social disparities, environmental exposures, and reproductive and children’s health. She received a career development award from the National Institutes of Health for her research on environmental health disparities and was recently recognized as a Pioneer Under 40 in Environmental Public Health by the Collaborative on Health and the Environment. She is currently an Associate Editor of Journal of Exposure Science and Environmental Epidemiology and on the Editorial Boards of Environmental Health Perspectives and Environmental Epigenetics. Dr. Zota is equally committed to developing innovative approaches for science translation so that her research can more effectively be used to inform individual and collective decision-making. Her research has been featured in high-impact national and international media publications including the Washington Post, LA Times, USA Today, Huffington Post, and the Atlantic Monthly. She has helped shape health and safety standards for consumer product chemicals by participating in legislative briefings, providing technical assistance to the NGO community, and communicating science through mainstream and social media outlets. She received her masters and doctorate in environmental health at the Harvard School of Public Health and then completed postdoctoral fellowships at Silent Spring Institute and UCSF Program on Reproductive Health.